​Don't try to fight ​Alex Ovechkin in the postseason, it's not going to go well for you. Rookie Andrei Svechnikov found this out the hard way. 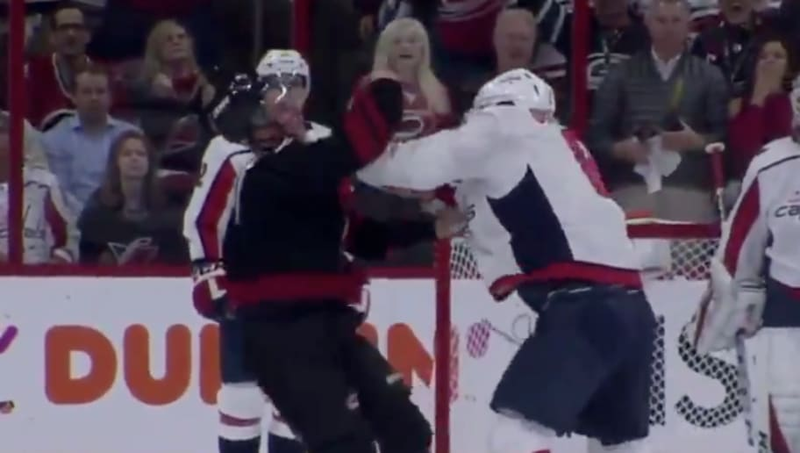 With the Hurricanes down 0-2 in their series against Washington, Svechnikov tried to create a spark for his squad by fighting this big Russian. Unfortunately, it didn't go his way, as Ovi laid down the hammer. With upsets abound in the playoffs thus far, the Caps have been a stabilizing force for favorites around the league. So much for that Stanley Cup hangover.